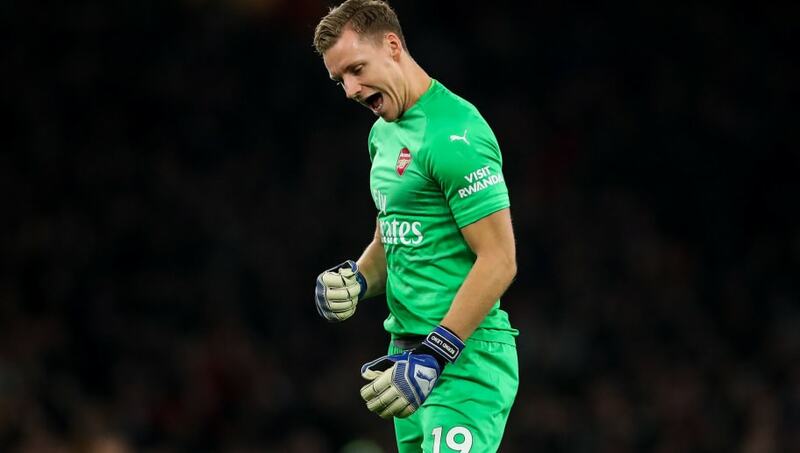 Arsenal goalkeeper Bernd Leno has praised his teammates' response after his error saw Liverpool take the lead through James Milner against the run of play during the 1-1 draw between the sides on Saturday afternoon. Leno parried a cross into the path of Milner for the opening goal of the game, but his blushes were spared when the Gunners got a deserved equaliser through Alexandre Lacazette in a spirited display at the Emirates. The 26-year-old, who is finally enjoying a spell in the first team following his £19m move from Bayern Leverkusen, spoke after the game about that parry into the path of ​Milner. “It was a cross, it was a little bit unlucky for me because it was in the middle and Milner scored,” the keeper told Arsenal’s ​website. Arsenal produced an excellent display at the Emirates and frustrated title-contenders Liverpool and can consider themselves unlucky not to come away with all three points. “The manager has a new philosophy. Many things changed, because Arsene Wenger was here for a long time,” added the German. Despite his error for Liverpool’s goal, Leno had a solid night and made a string of fine saves, in particular bravely denying a Virgil van Dijk volley from point blank range. Leno has finally broken into the ​Arsenal team following the injury sustained by original number one goalkeeper Petr Cech following an injury sustained against ​Watford in September.